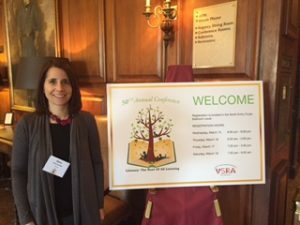 On March 16th and 17th 2017 I attended the 50th annual VSRA conference. This event took place in the downtown historic Roanoake Hotel. The day began with breakfast and our first session with Dr. Steven Layne. His session was called “In Defence of Reading-Aloud” What an amazing way to start the day! He spoke about the importance of reading exciting and influential texts out loud to students. I have always been in favor of reading aloud but his session defined the importance and bought me back to what being read a dramatic reading really felt like. I told my fellow classmates that his session alone would have been worth the trip. The rest of the day was just as great and flew by with multiple professional developments. I attended 4 more 60 minute sessions, where I learned about some of the best ways to work with student who test low in comprehension, new ideas for daily 5, growing great writers and more about concept of word. Two of the 4 sessions were presented by my Reading and Literacy professors. 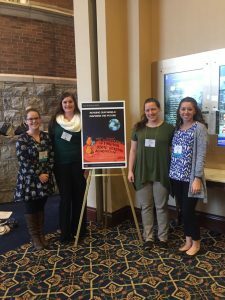 Watching them present publically at the VSRA conference was such a treat. I am very greatful to Longwood University for providing me with the funds and insight to attend such a fantastic event. I am also very thankful to attend a school that is so focused on furthering our education through authentic experiences such as state reading conferences. Thank you. 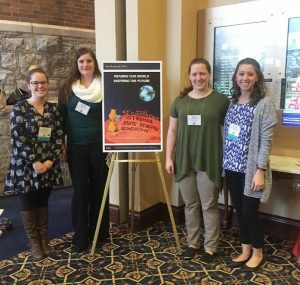 This past weekend, on March 17, 2017, I attended my first VSRA conference thanks to the travel grant that was given to me by Longwood’s College of Graduate and Professional Studies.Our first session was with Steven Layne, who spoke to all attending about how important solid read alouds are for students of all ages. His powerful and moving example on how to truly engage students in a text was a model for all professionals in that room. I was then able to attend three concurrent sessions: the first having to do with station activities and ideas for primary grades, the second having to do with how to bring technology into the classroom, and finally, how to connect dance and other art forms to writing. I enjoyed my final concurrent session the most; I enjoyed hearing about the event that she and a local dance teacher held for their community and talking with other professionals about how something similar could be brought to the classroom. I believe every student has a passion and strength, and sometimes those do not include oral presentations. Giving students the option to show their mastery of the content through art forms will engage and build a positive self-efficacy into students who are not really understood in the typical classroom setting. I could not be more excited to use all of the skills and practices I learned during VSRA in my future classroom, and I plan on attending the conference every year from now on! I attended the Virginia State Reading Association’s 50th Annual Reading Conference in Roanoke, Virginia. I truly enjoyed every moment of the experience. Being surrounded by that many people who all have an amazing impact on children every day was incredible. The first session that I attended at the conference was entitle In Defense of Read-Aloud by Dr. Steven Layne. This presentation inspired me from the first moment. I hope to teach middle school in the future, so it was important to hear that read-aloud has just as much benefit for these older students as it does for elementary learners. One of the biggest take-aways I had from this presentation was the importance of establishing a hook when reading a book aloud. It is essential to read a higher amount in those first few days until students are begging for you to read; when they reach that point, they are hooked! One of the concurrent sessions I attended was on the topic of grammar with Dr. Keith Polette. This session was a great refresher on a wide variety of grammatical topics such as abstract vs. concrete nouns, the parts of speech, and instructional strategies to utilize when providing this information to students. I have since ordered Dr. Polette’s book, Teaching Grammar Through Writing, and plan to incorporate many of these ideas into my classroom. I also attended a session on incorporating technology into the classroom, specifically literature circles. In this session, I learned about the SAMR model of incorporating technology in the classroom. The last session I attended was centered on the Virginia Reader’s Choice texts selected for middle and high school readers this year. This was an incredible session to attend because it gave me a great list of texts to start with when recommending books to my students int the future! I truly enjoyed every aspect of this conference and plan to attend next year’s as well! I am so thankful for this opportunity that the Graduate Travel Grant has given me. Hello! I had the pleasure of attending the 50th Annual Virginia State Reading Association conference at the Hotel Roanoke and Conference Center on March 17th, 2017. This conference was a first for me, and I can say with sincerity that it was an amazing experience to be surrounded by such knowledgeable and passionate educators in the field of literacy. The keynote speaker, Dr. Steven Layne, enthralled us all with an amazing read-aloud from Sold by Patricia McCormick as well as a great discussion about his discoveries during the process of writing his book In Defense of Read-Aloud. This text is now on my must-buy list because Layne brought together an “army” – as he calls it – of professionals and researchers to prove once-and-for-all, to reluctant administrators and teachers who are not believers, that read-alouds are necessary and advantageous for all students K through 12. The break-out sessions throughout the afternoon were just as engaging and informative! My favorite session was with Keith Polette, a professor from the University of Texas, who provided teachers with concrete examples to implement direct instruction with grammar in meaningful and authentic contexts. Instead of drilling our students with worksheets, they simply need to learn the 17 basic elements of grammar and be given opportunities to apply them in their own writings. His humorous approach to this concept helped many of us to clarify our own misconceptions and walk away with a fresh outlook on teaching grammar. 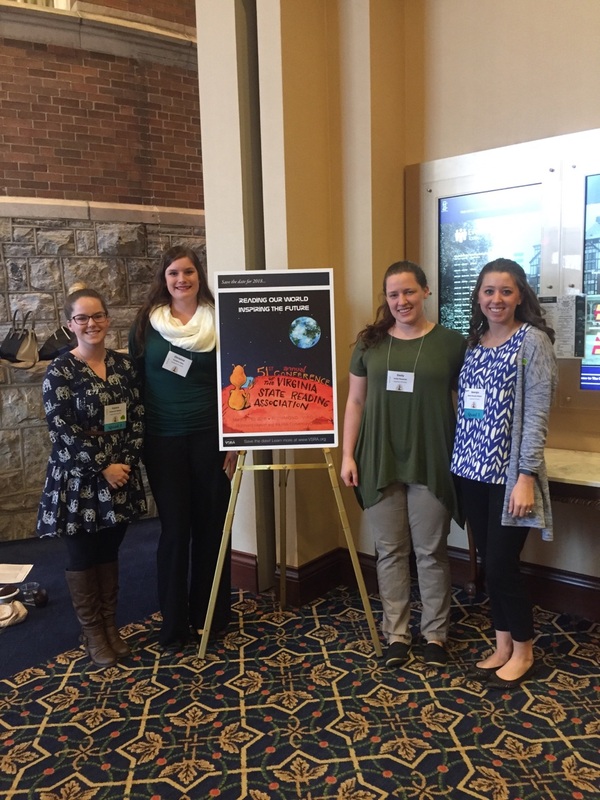 Attending this conference has helped me to gain insight and resources to help prepare me for my upcoming first year of teaching! On March 16th-18th, I attended the 50th Annual Virginia State Reading Association conference in Roanoke, Virginia. The conference had sessions on every aspect of literacy imaginable. One of the great highlights of the conference was key note speaker, Steven Layne. He was there to discuss his newest book, In Defense of Read-Aloud. The lecture was both motivating and informational as he shared his arguments for the case of the read-aloud as being an essential practice for students in grades in grades K-8. I also attended a hands-on session that modeled how to combine literacy with STEM by providing students with opportunities to collaboratively solve problems that were presented in picture books. In addition, I learned how to build student comprehension by teaching them to predict, question, clarify, and summarize while reading. I came home with not only new ideas, but also some great (and free!) materials to use in my classroom. Overall, the conference was an enriching experience and I look forward to attending next year!